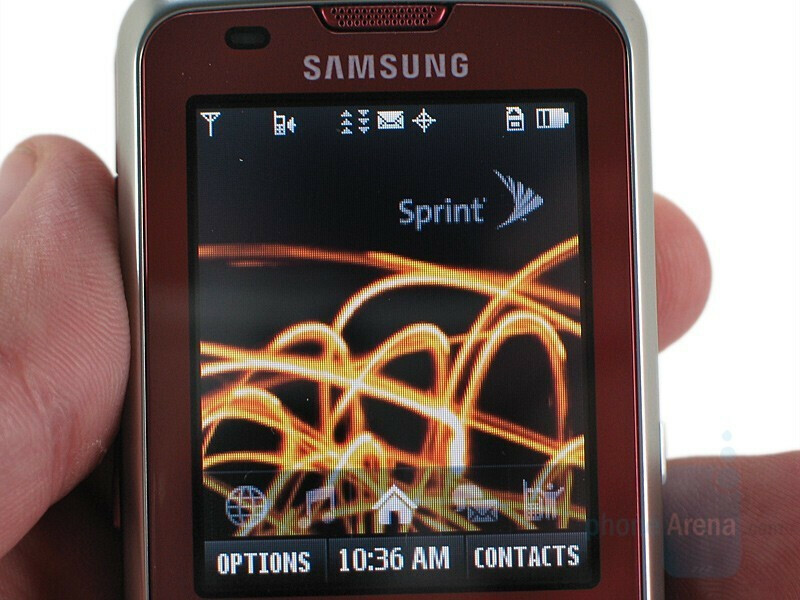 Samsung has a pair of new devices for Sprint. 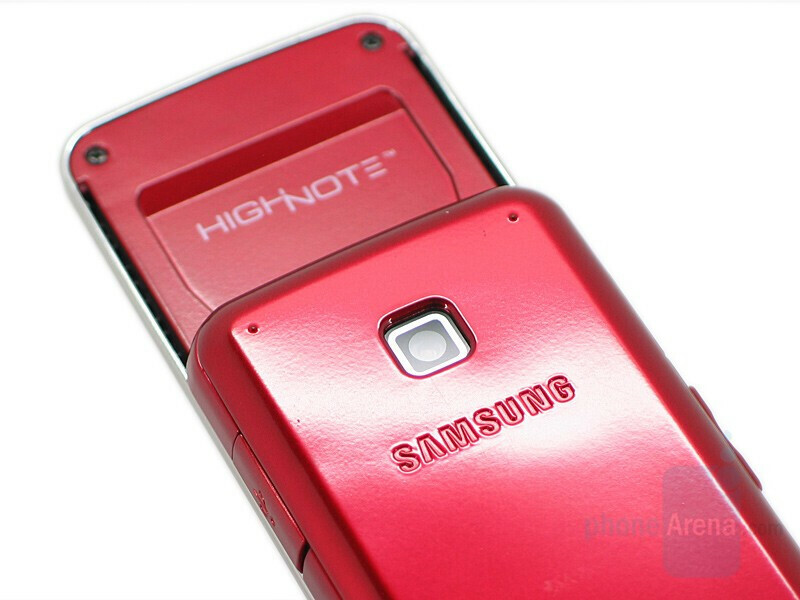 We took a look at the Rant and its side-sliding QWERTY a few weeks back, and today we’ll take a look at their multimedia oriented Highnote. 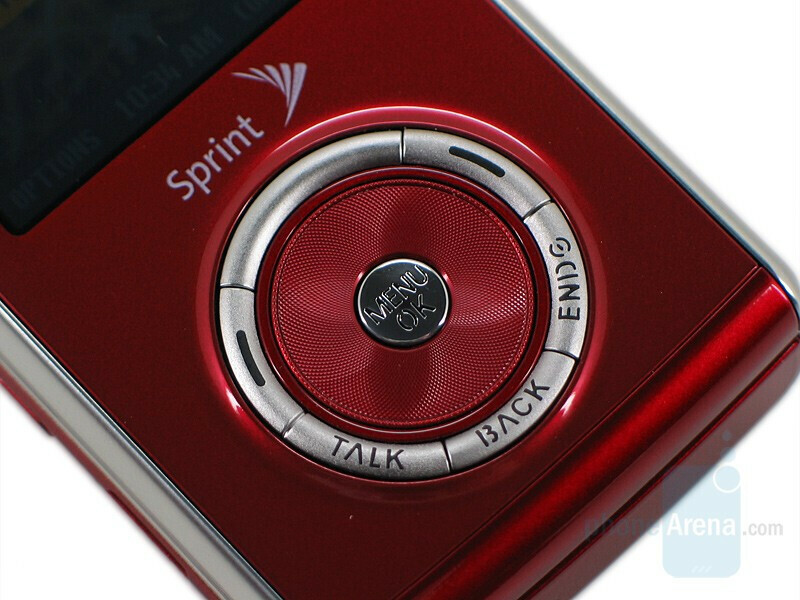 The dual-slider replaces the two sided UpStage in Sprint’s lineup and comes in both red and blue flavors. 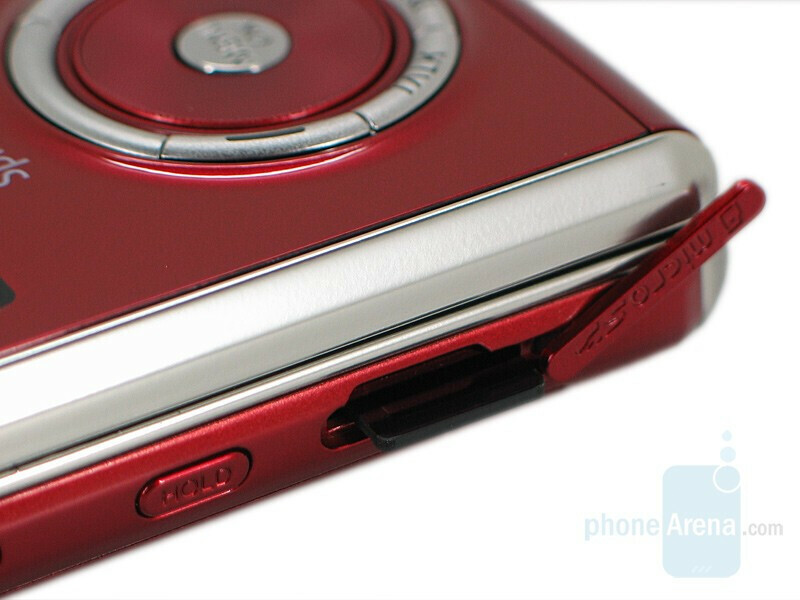 When slid up it reveals a fairly standard keypad, with a dedicated Driving Mode button, and sliding down lets loose the stereo speakers. 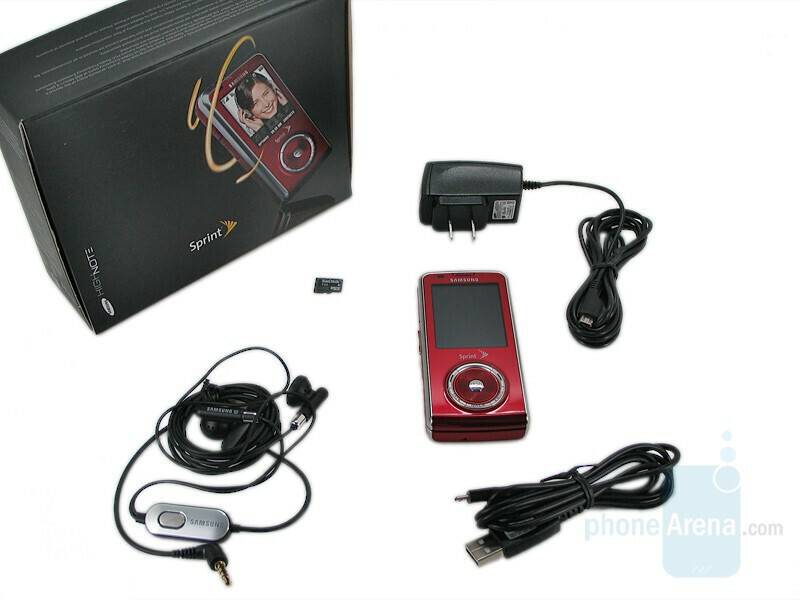 As with any good music phone it comes with a 3.5mm headset jack and is also bundled with a 1GB microSD card with expansion possibilities up to 16GB. The Highnote is cousin to the European F400, taking most of its design cues but eschewing the Bang & Olufsen amplifier. 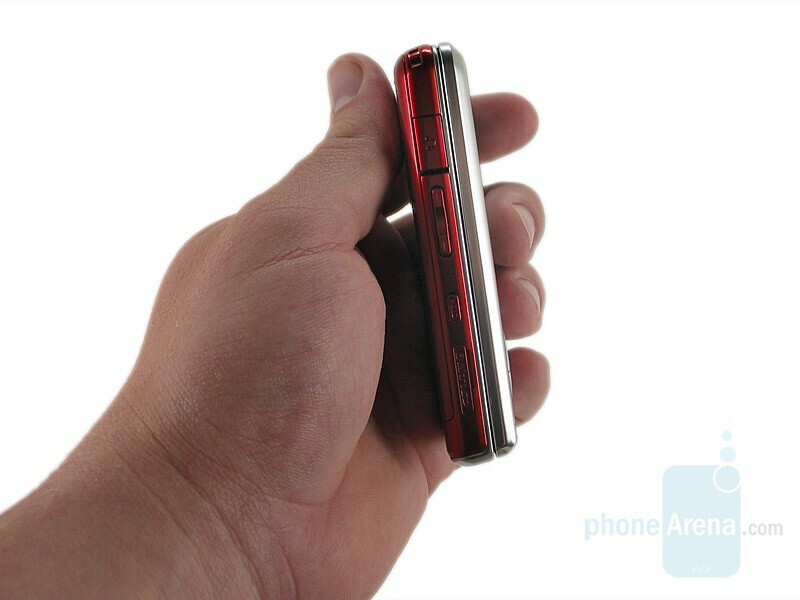 Dimensions are nearly identical; the Highnote is actually 1.5mm thinner than the GSM phone. You can compare the Samsung Highnote with many other phones using our Size Visualization Tool. The front has been reworked, and instead of buttons on the side of the d-pad they are now incorporated into the trim ring around it. The d-pad still rotates, allowing the user to either click or simply roll across items. It moves too fast for our liking, and we’re not a fan of the button placement either. While they’re not small, they are narrow and they just don’t feel right. We think if the ring trim had contained the clickable portions of the d-pad, leaving the inner part to rotation only, and the Send, End, Back and soft keys were moved outside the result would have been much better. It’s not terrible, just not great. Atop the cluster is a 176x220 display that is on the small side at 2”, though it fits with the size of the phone well. The display is up to Samsung’s high standards, and can be read in all lighting conditions. 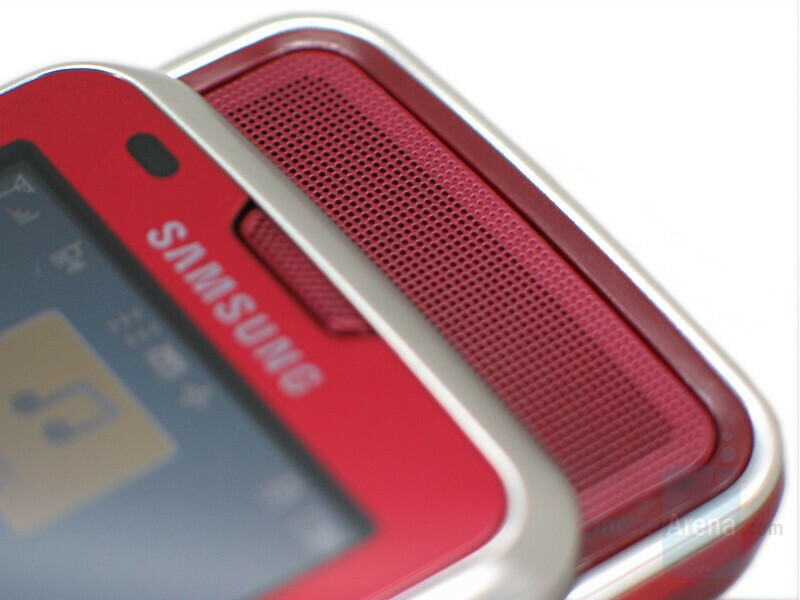 Still, we’ve seen Samsung move away from the gorgeous QVGA displays of the A900 and M610 and we don’t like the trend. There is a small earpiece above the display, and like the Rant a small status LED sits to the left of it. We still haven’t figured out what it is, it looks like a sensor for backlight adjustment but neither phone has that option. 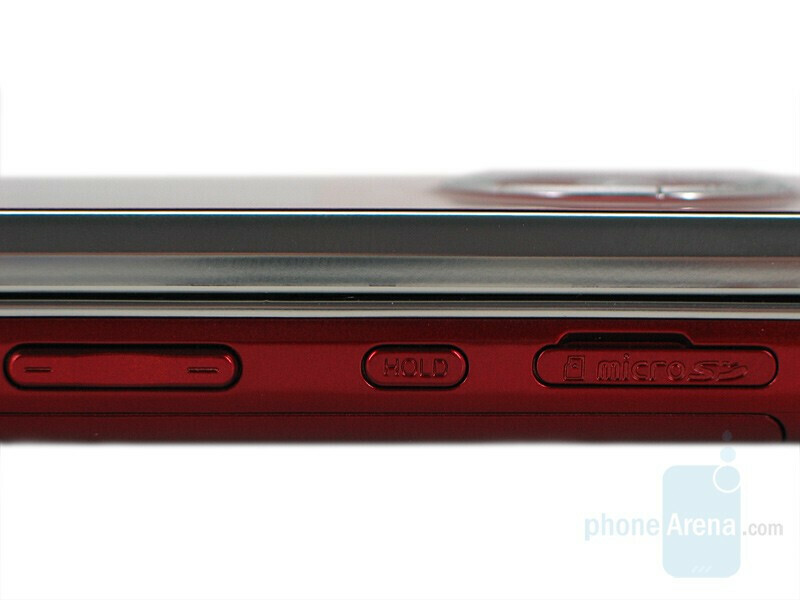 The side of the top slide is trimmed in silver, which at the bottom of the phone curves into the back part. 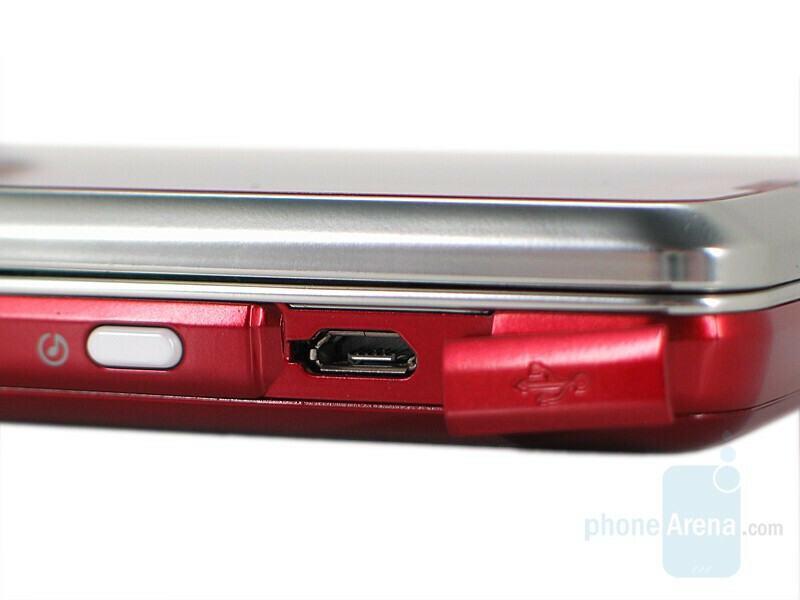 Along the left side is the 3.5mm headphone jack, volume rocker a handy Hold key and the microSD slot. 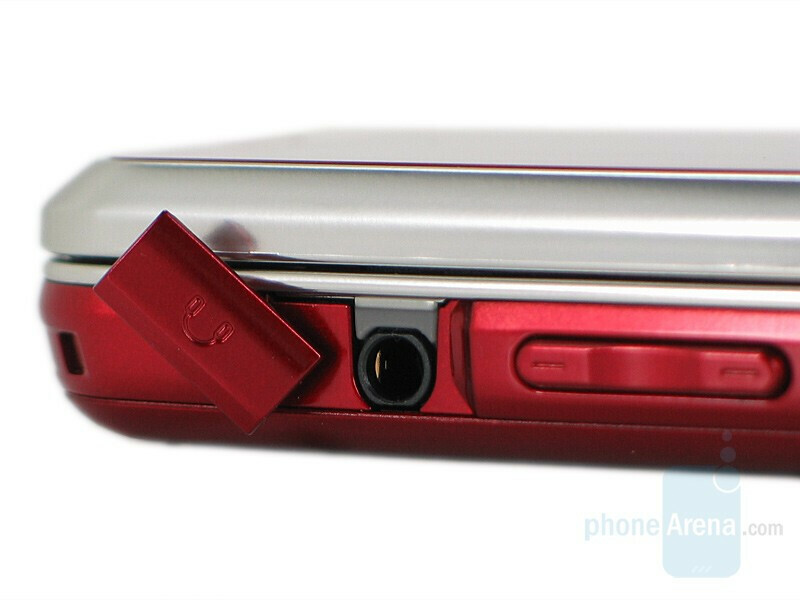 On the right is the microUSB charging/data port, along with dedicated Music and Camera keys. 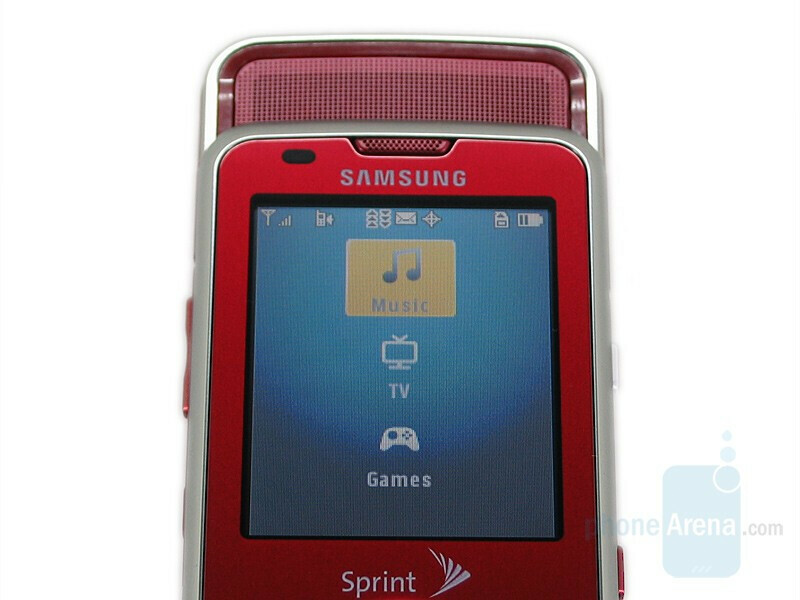 The back is very plain, featuring only a square cutout for the 2-megapixel camera. 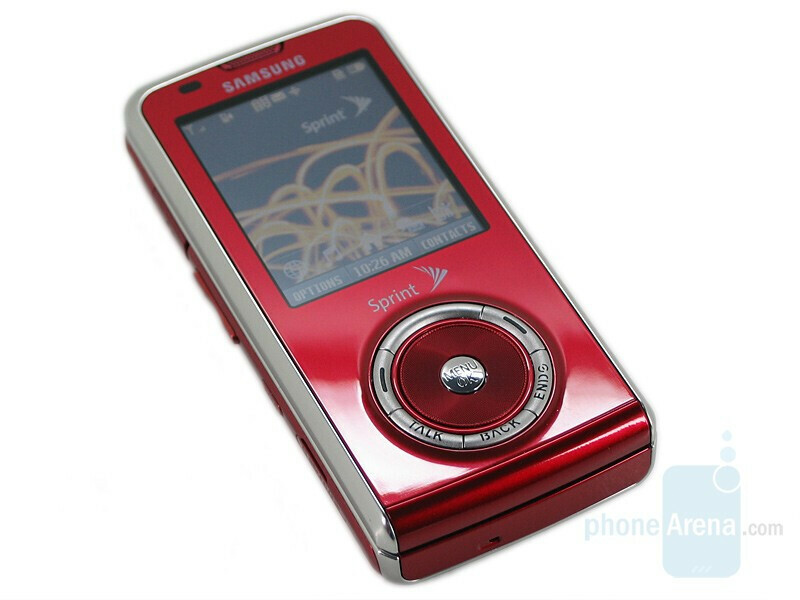 Sliding the phone down not only displays the stereo speakers, but also activates the multimedia menu which gives the user quick access to music, TV and games. 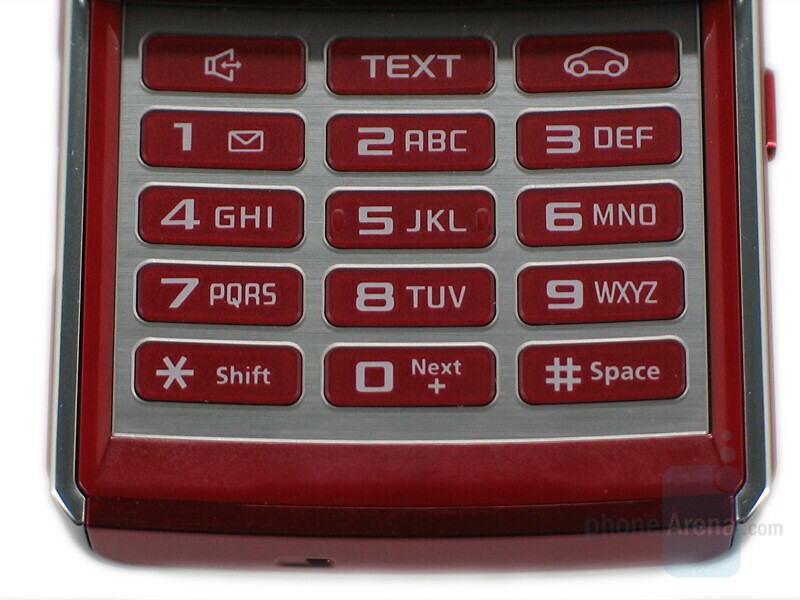 Sliding up reveals the keypad with a traditional 12 key layout, as well as a dedicated row of buttons above it for Speakerphone, Text and Driving Mode (more on that later.) The hard plastic keys are on the small side, but they are individually raised off the brushed metal surface and, unlike Sanyos, are not slippery. They offer surprising accuracy when messaging and we think the Highnote will be a sleeper hit with T9 aficionados. 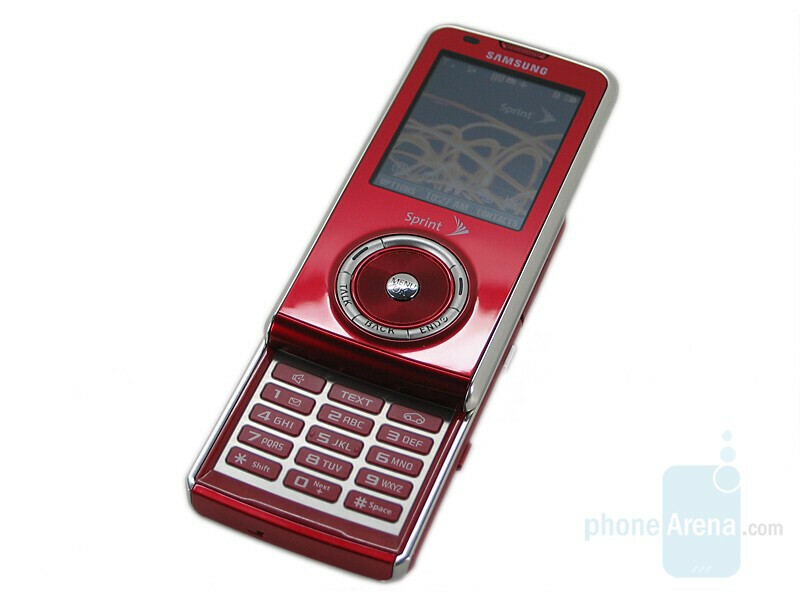 As noted, the phone comes in either a candy apple red or Kentucky Wildcat blue, the latter looking much richer in real life than in press shots. Both colors are playful, but we feel their boldness will drive away as many users as it may attract, and a more traditional white or gunmetal option would do the Highnote well. 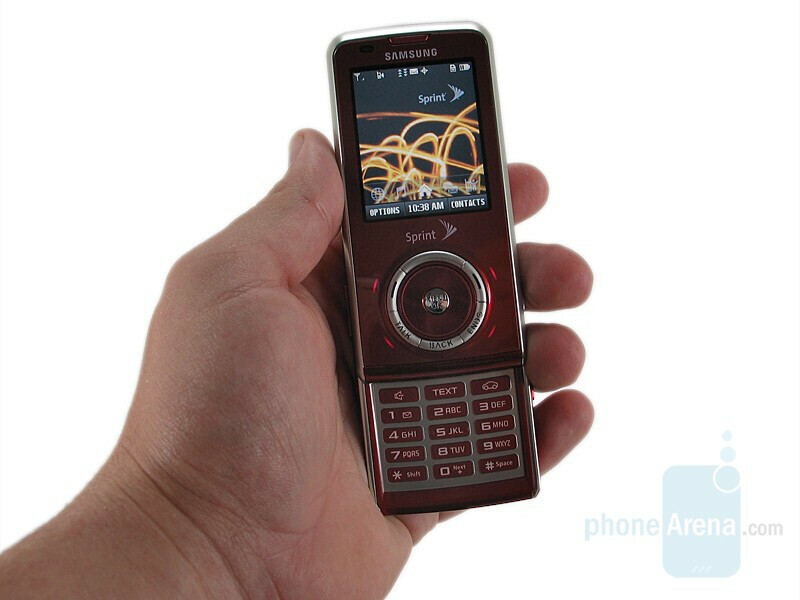 Overall the phone is designed well. 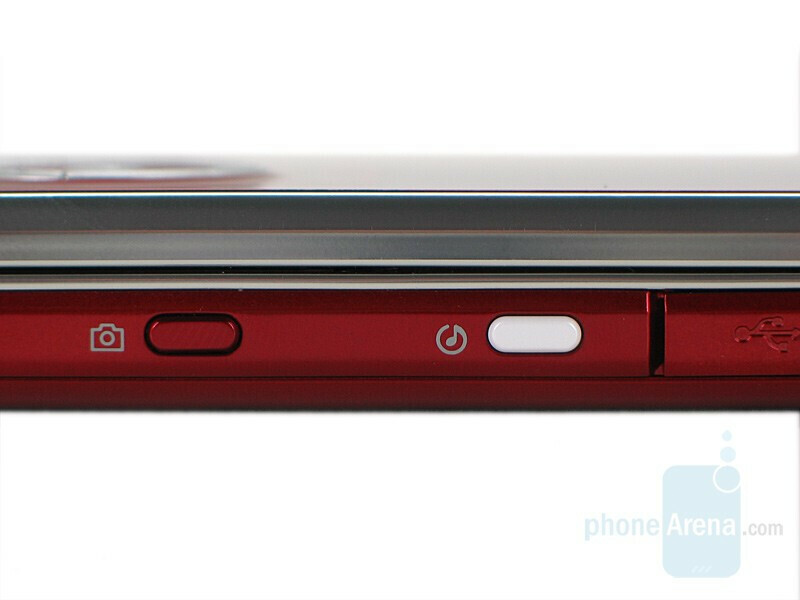 Though we are not crazy about the front buttons, the quality of the phone is top notch as usual. The slide mechanism is solid and we have no qualms about its long term durability. 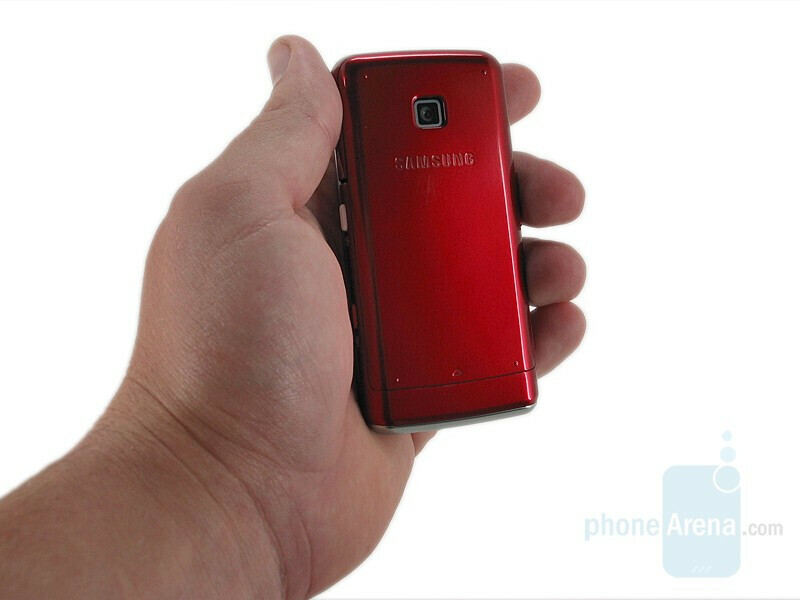 It is definitely not as minuscule as the UpStage, but the size is good and it fits in both the hand and pocket well.